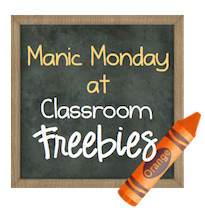 We are linking up with Monday Made It and Manic Monday today. I have thought a lot about behavior and classroom management this summer. Some of the questions I keep asking myself are: What can I do differently in my classroom? What parent communication needs to take place when there is a behavior problem? How will I communicate positive behavior to parents? What visuals do I need to have in place for my students to track their behavior? We are a PBIS school. PBIS stands for Positive Behavioral Interventions and Supports. PBIS consists of 4 elements: practices, data, systems and outcomes. At the primary level our goal is to teach students expectations, manage behavior and problems before they occur and monitor progress using data. Our school has a school-wide behavioral matrix. The matrix is posted throughout the building. In addition to PBIS, I award students with Build Your Rainbow. 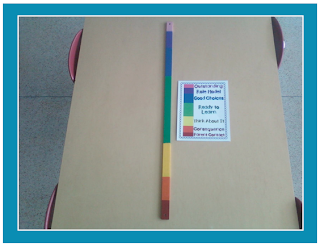 The rainbow behavior chart was inspired from Mrs. Lee's Kindergarten. This year I will be using the following color-coded yard stick that I made with a few "at-home" items. This stick will determine who earns their rainbow for the day. 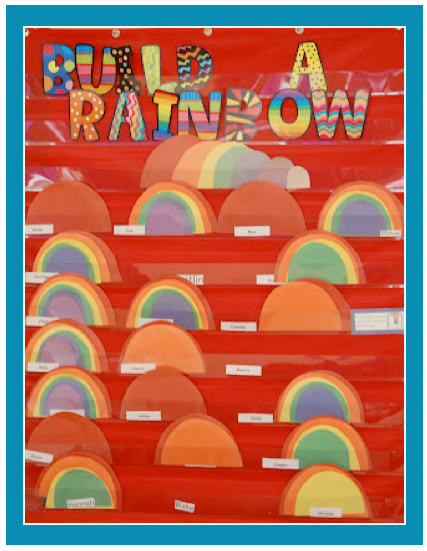 If the student ends the day on green, blue, purple, or pink he/she will earn their piece of the rainbow. It was simple to make and costs less than five dollars. 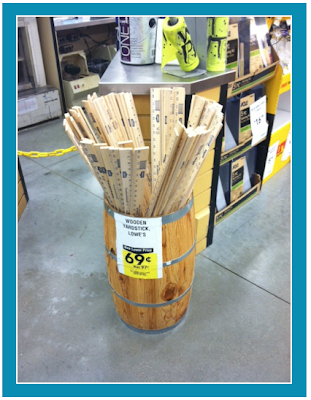 First, I purchased a yard stick at Lowe's for 69 cents. Next, I painted the stick to match most color clip charts. I wanted to use the same typical colors. 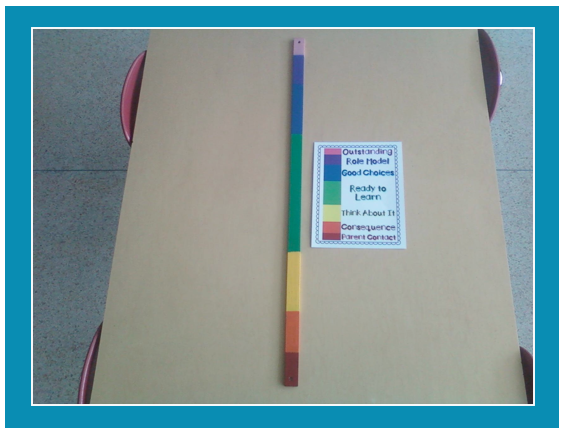 Finally, I came up with a chart to display next to the behavior stick. Students will use clothespins with his/her name. Positive choices will result in the clothespin going up. Students have the ability to move the clip up and down throughout the day. Students will begin each day on green. Click here or the picture below to link to your free copy of the chart. 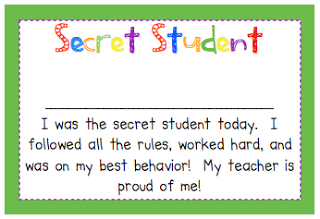 I also will use Stephany's "Secret Student" to reinforce good behavior. You can read the blog post about the "Secret Student" here. For your free copy, click the picture below. Finally, I use Attention Grabbers for transitions and throughout the day. 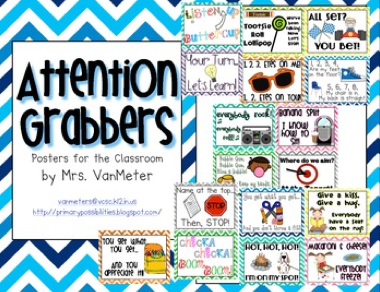 Using attention grabbers helps reduce disruptions and eases transitions in the classroom. Please let us know what works for you in your classroom. What behavior strategies and classroom management tools do you use? 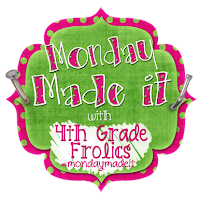 What tips and tricks help your classroom run smoothly? We would love to hear from you. Comment below and I will choose 3 random comments to win a copy of my Attention Grabbers. Winners will be announced on our Wednesday Wisdom post. My list is super long too and the days are getting limited. Ahhhh!! This will be my first year teaching and I love the attention grabbers you have!! They are in my wishlist and I will certainly be getting them before the school year starts! It's so nice to have them colorful and fun as well!! These are wonderful attention grabbers! I made a similar yardstick. 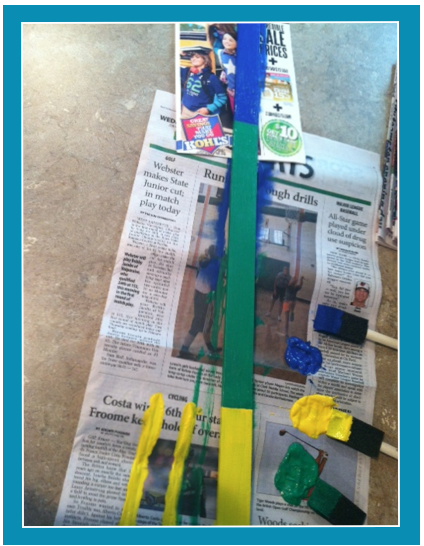 I used a metal yardstick and turned it into a rocket to go along with my planet theme. All of these ideas are great, I am also at a PBIS school and can't wait to try some of these things!!! Thank you!!! Great ideas, I especially love the attention grabbers. Thanks for sharing. I can't wait to read more post. Some wonderful ideas that I am going to implement in my classroom. I need some more sleep (zzzzzzzz), what!! oh my, I'm sorry. I always tend to lose my focus, I need some attention grabbers to keep me on task and focused. I'm always looking for new classroom management ideas. I use a color chart too. 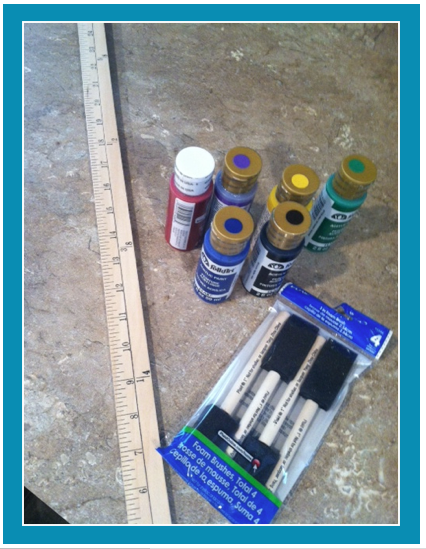 The painted yardstick- so simple and genius! These attention grabbers look great! I Love the Attention Grabbers! I can't wait to try these out this year! I love the rainbow idea. I may create one to use as a pointer! I love your ideas! I do something similar to Secret Student in my fourth grade class. I have "Mystery People" whenever we walk in the hall. Those students receive positive reinforcement for excellent hallway behavior. Also, check out my blog for my small group visual as an incentive for positive behavior. The attention grabbers look great. And I love how you used a ruler stick for your behavior plan...great idea! I love me some Attention Grabbers! I like to switch things up frequently. I get bored saying the same thing over and over. Loving your ideas! Thanks for sharing your ideas and awesome freebie. Great idea! 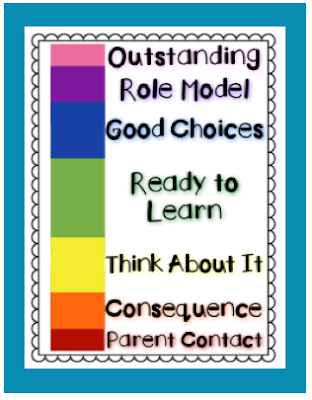 Our 5th grade teachers made this last year and when they switched classes, they passed their behavior sticks. Love the mobility of it! บาคาร่า The number one site for gambling is to play at the choice of every day. It's a bet everyone likes. Where will it play itself at all times? Make more money. With gambling games like to make more money. Make a substantial income. Can play as you like it every day. Fun with the gambling game is number one. Get more stuff. A variety of games that allow players to gamble themselves. Have a fun and realistic gambling every day.